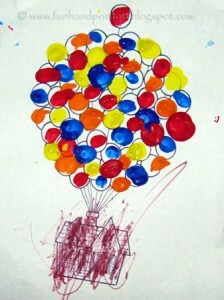 The boys made a fun fingerprint project using a coloring page of the house being carried away by the balloon. You can see the full instructions for this Up craft here (takes you to my Handprint & Footprint Art Blog). 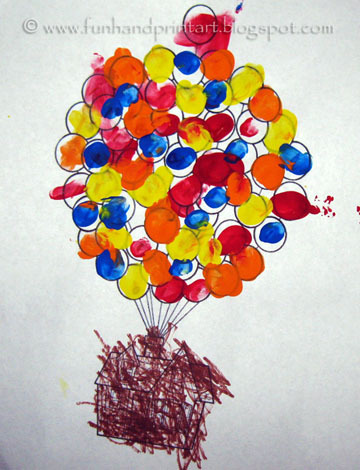 They also made this really cool fingerprint Up craft of themselves floating away with balloons. I even made a little template for them to follow along with. 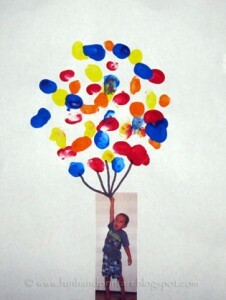 You can see the full tutorial for this fingerprint balloon Up craft here on my Handprint & Footprint Art blog. 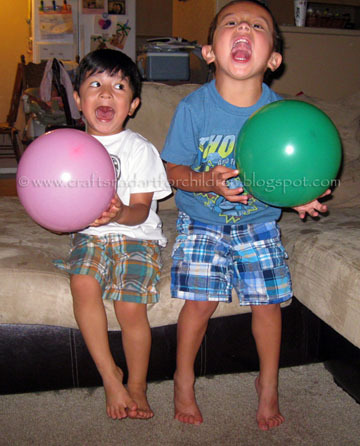 Of course they played with balloons- Baby Sister even got in on the balloon fun! 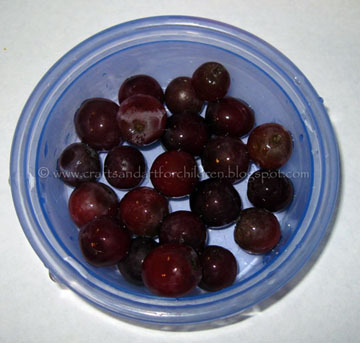 For a snack, I choose food that resembled balloons. 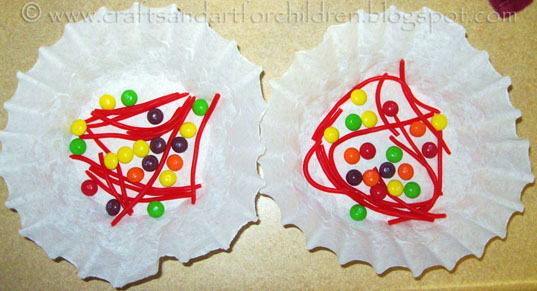 They had grape balloon, skittle balloons (M&M’s would also work), and licorice balloon strings– the kind you pull apart. 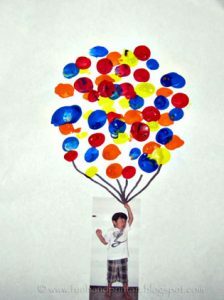 Check out this awesome rice crispy treat balloon tutorial over at Hungry Happenings– absolutely gorgeous! Have you made a craft or snack that relates to this movie? I would love for you to share it in the comments! 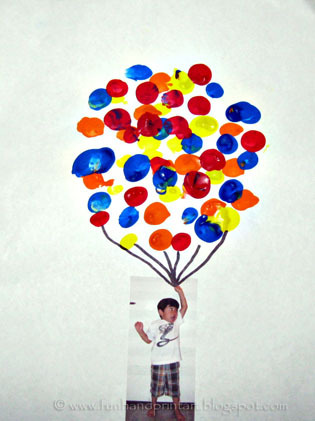 Our Balloon Chalk Photography would also be a perfect activity with this theme! « God Gave Us You – an absolutely adorable story for little ones! How fun! 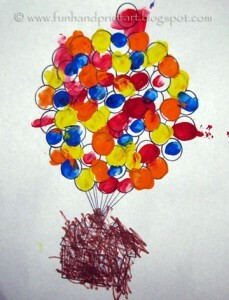 I love the ones of them being floated up in the air- so creative! hey look like they enjoyed it.